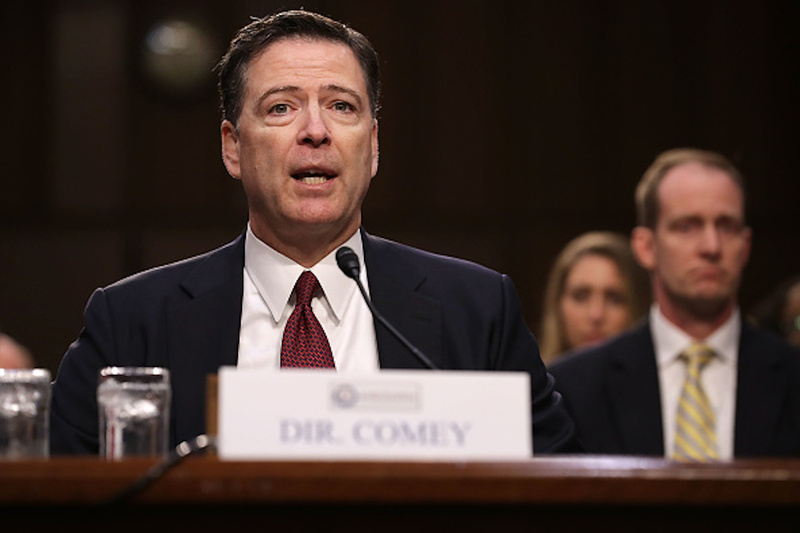 Former FBI Director James Comey refused to answer reporters Friday if he knew anything about reports that U.S. Deputy Attorney General Rod Rosenstein wore a wire to record President Donald Trump. Comey, who was testifying in front of the House Judiciary Committee, spoke to reporters after testifying behind closed doors for nearly four and a half hours. Reporters asked him if members of the committee questioned him about the reports of Rosenstein wearing a wire in a May meeting with Trump, after Comey was fired by the president. Rosenstein reportedly discussed wearing the wire in meetings with Department of Justice and FBI officials after the May 9, 2017 firing of Comey, according to a report from The New York Times. The former FBI director also told reporters that he agreed to come back to speak with Congress in a couple of weeks, but said it would likely be closed to the public.